The “Neo Geo X” Portable is One Tiny System of AWESOME!! When I first read this story on my Google Reader feed a few months ago, I rubbed our eyes a little, read it again to be absolutely sure, and let out a high-pitched squeal in total giddiness like a little schoolgirl. 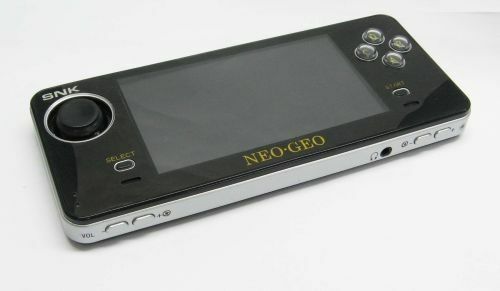 My friends, this is the new handheld Neo Geo console, dubbed the Neo Geo X. If you’re familiar with the company behind the Neo Geo, SNK, and their history of quality controllers, publishing it’s game library on other gaming platforms, and even manufacturing handhelds before (R.I.P. Neo Geo Pocket and Pocket Color), but nothing quite as epic as this. However, still no word on a solid release date (other than a Q2 2012 release) nor a price, but this is definitely on my wish list. 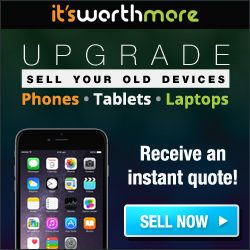 The iPhone-like casing and 4.3 inch screen showcases a directional pad (or D-pad), four shoulder buttons, six front buttons, headphone jack, and a hides 2GB of storage inside. 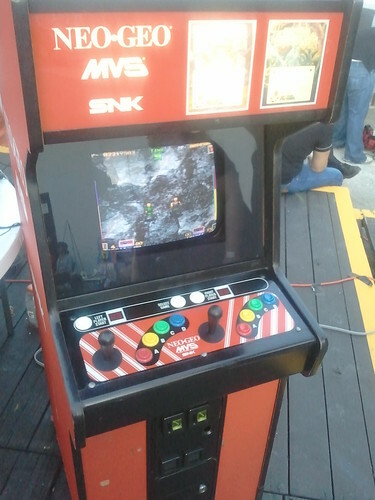 The storage itself is pre-loaded with 20 classic SNK game titles (i.e., the Fatal Fury series, King of the Monsters, Metal Slug series, League Bowling and much more), and they’re all in English. Should the 2GB of storage for games not be enough (and it isn’t for most of us gamers), there’s also an SD card slot that could hopefully store even MORE games, and an AV output jack for some great, old-school big-screen gaming action. 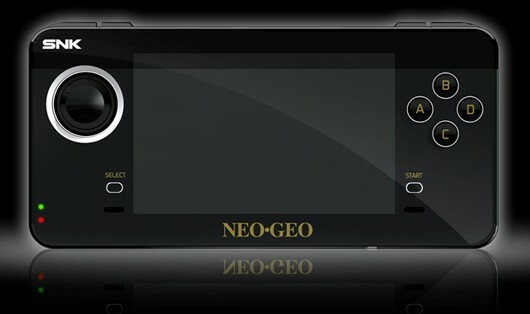 Blaze, a company known for various Genesis (or “Mega Drive”) handhelds, is producing the Neo Geo X handheld under the SNK license, and plan on shipping the device in Q2 of 2012 (which hopefully means a June release **crossing fingers**). As mentioned earlier, there’s no price yet, but it was stated in the press release that the company hopes to spread excitement about the portable system “in a more affordable manner, to a much wider audience.” I don’t know about you guys, but that sounds like it’ll be cheaper than the $650.00 SNK asked for the grandaddy Neo Geo Advanced Entertainment System (AES) home console at its launch almost 20 years ago.